For information on how to set up your slider for this theme, see here. 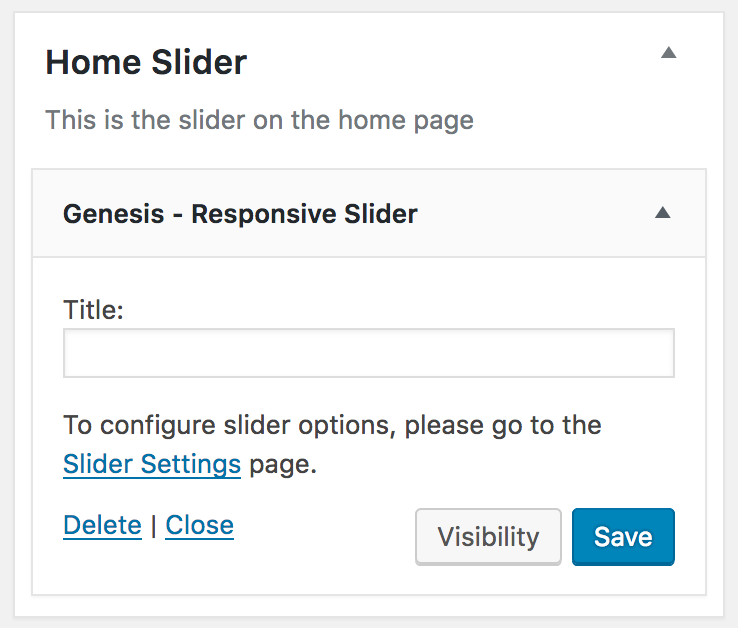 For detailed instructions on setting up the Genesis Enews Extended plugin, see this. For detailed instructions on setting up the Simple Social Icons, see this. 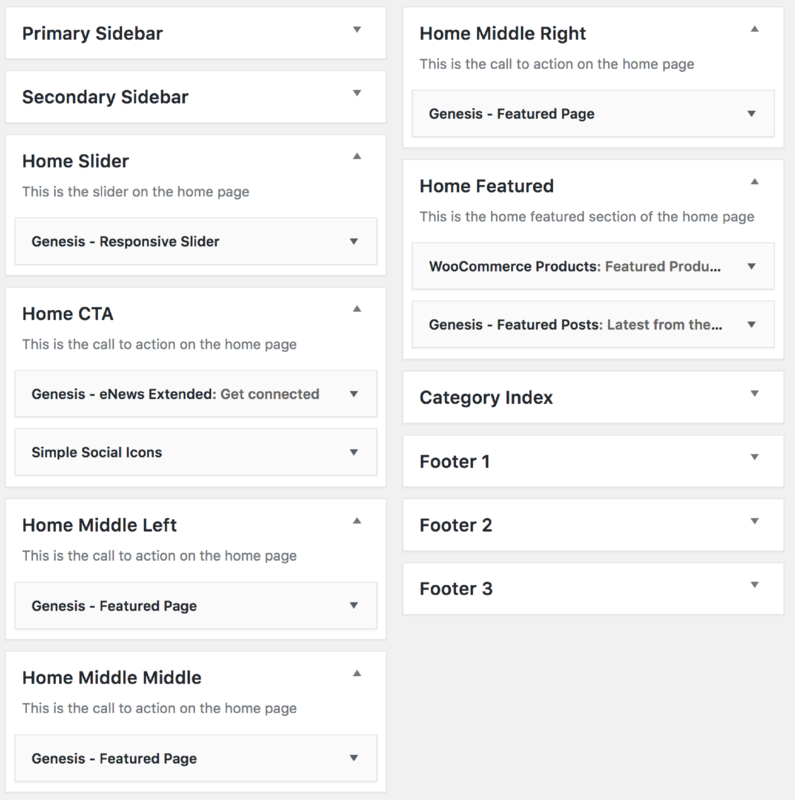 All of these widgets ( Home Middle Left, Home Middle Middle, and Home Middle Right) will be configured exactly the same with the exception of the name of the page. To use the images like you see in the demo, you’ll want to unzip your original theme download file (for information on how unzip a file, see here). From there, go to the Images folder and select the color scheme you’re using. Inside, you’ll see pre-designed images for the pages we are using in the demo theme. 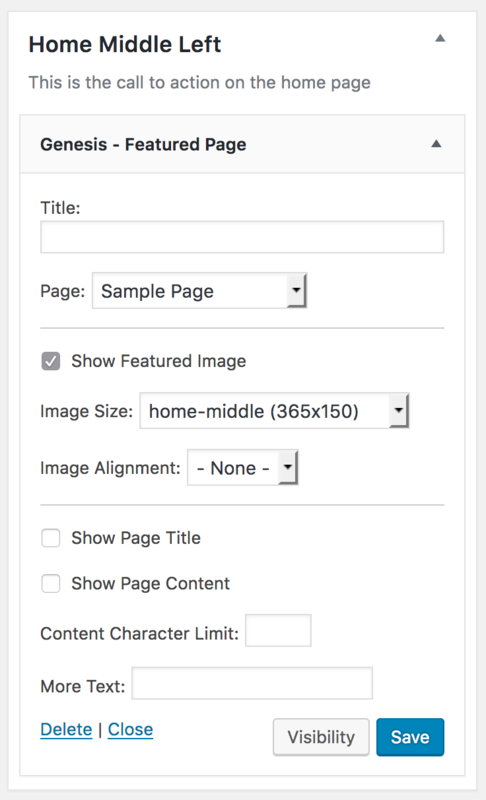 For more detailed instructions on how to set your featured images, see this. 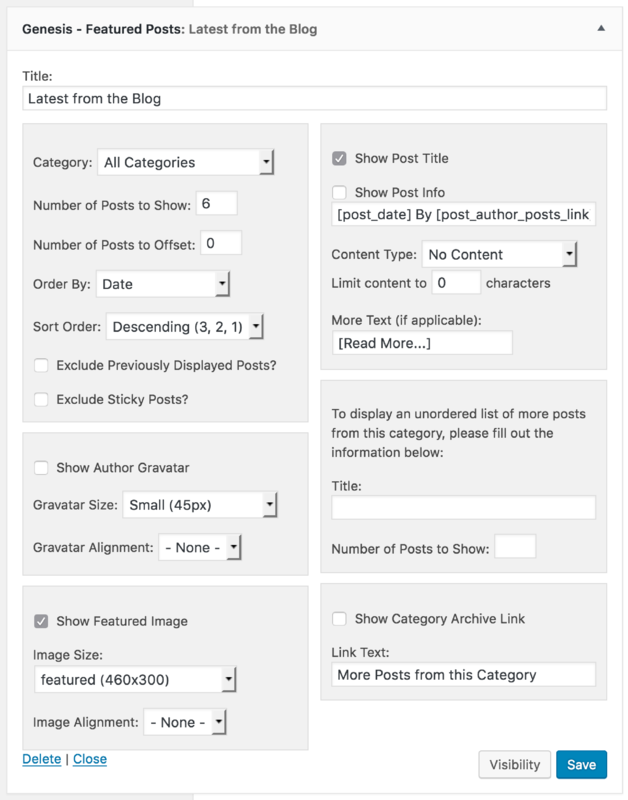 To display full blog posts and sidebar content, do not add any widgets to this area. 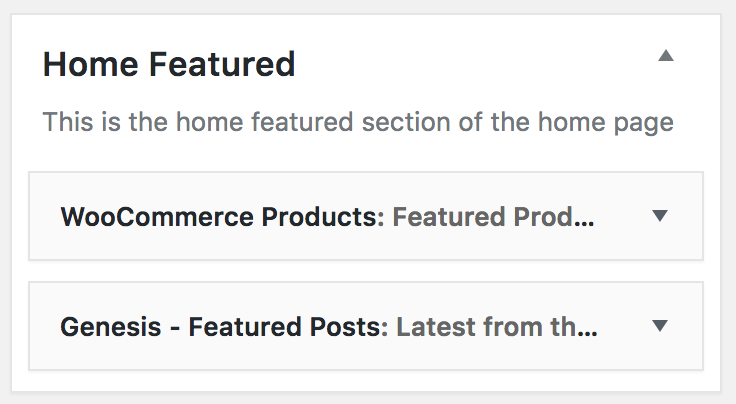 To display nothing below the Top Section, simply add a BLANK text widget to this section and save.